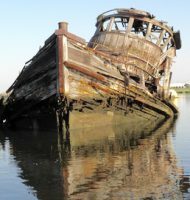 You are currently browsing the daily archive for April 18, 2007. I had thought to call this “Gowanus Delights,” since a whale story surfaced there this mid-week, puns totally intended there. Unfortunately, as of this writing, I’ve not been in the area. The sleek one below may have seen the whale in passing, or heard it, as it fished out by the Narrows. Maybe even advised the lesser rorqual to turn back. Identify the feathered one? 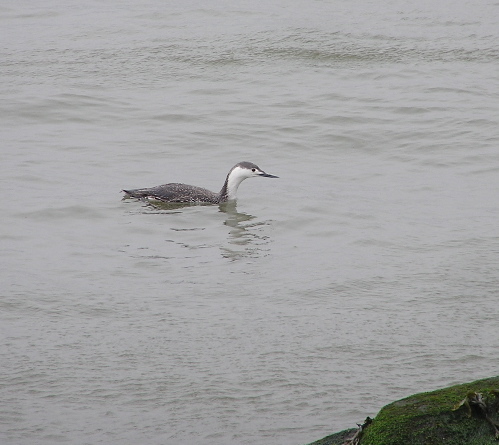 My book calls it a red-throated loon aka “scape grace” wintering here along with the buffleheads, who kept turning their buffle heads every shot I took. 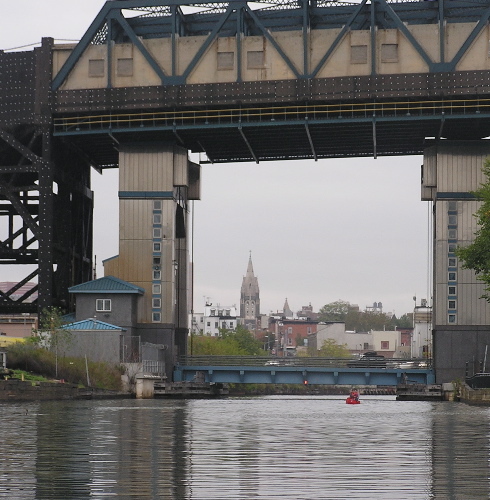 So what would a whale have seen in the Gowanus besides some Dredgers? By the way, for visitors from out-of-town, that’s a “subway bridge” above, (check this link for fotos therefrom) oxymoron as that may sound, its span high enough so that schooners once could travel up the canal. 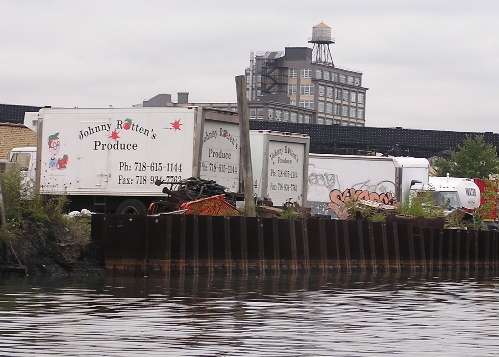 The trucks are my favorite sights along the Gowanus. I wonder what the whale thought of them.